Re-contouring, dental bonding, crowns, root canals, and dental implants are five effective treatments for chipped or cracked teeth. At Penn Dental Medicine, we have extensive experience dealing with chipped teeth. As a clinical education program associated with University of Pennsylvania, our student doctors are overseen by the top doctors in the dental profession. And one thing is certain: you don’t achieve a position of such high renown without extensive expertise and experience in all areas of dental care. Case in point: chipped teeth. While a chipped tooth may seem like a relatively simple issue, knowledgeable dentists know that there are more than one correct answer to the question of how to fix a chipped tooth. It’s important for dental patients to know the treatment options available to them. That’s why the dental experts at Penn Dental Medicine have compiled this overview of five top treatment options available for those with chipped teeth. The proper treatment for a chipped tooth is dependent upon the degree of damage the tooth has sustained. So, the answer to the question of how to fix a chipped tooth will be largely answered by how large the crack in your tooth is, the level of pain you are experiencing, and related issues. 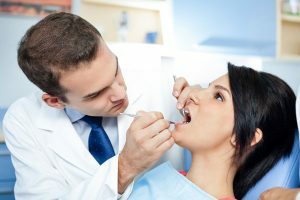 Five options your dentist may consider to treat your chipped tooth include re-contouring, dental bonding, installing a crown, root canals, and dental implants. If your tooth is minimally cracked or chipped and you are asking how to fix a chipped tooth, the answer might be tooth re-contouring. This procedure involves shaving and polishing the crack in your tooth to smooth the surface and remove any roughness or sharpness caused by the crack. It is a simple procedure with low amounts of pain. Also known as composite bonding, dental bonding involves having a conditioning liquid applied to your cracked tooth, then having a putty applied and molded. Ultraviolet light is then utilized to heat and harden the composite, which bonds the tooth. 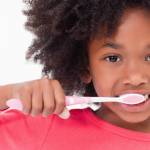 This treatment will keep teeth healthy and intact for approximately ten years. Crowns are an effective treatment for chipped or cracked teeth which involve covering and protecting the injured tooth with custom fittings that are made from impressions of your tooth. Your dentist will take these impressions and fit you with a temporary crown, then install the permanent crown once it is finished. 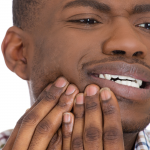 For badly injured teeth with exposed nerves, root canals may be advised to prevent the need to remove the tooth. In some cases, a crown will also be installed following the root canal. 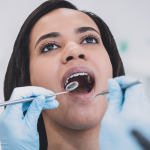 In all cases, your dentist will be careful to disinfect the damaged tooth interior; this helps to prevent infection and ensure the long-term health of your tooth. When teeth are cracked below the gum line and damage is severe, tooth extraction is necessary. In these severe cases, your tooth will be removed and a dental implant with biocompatible screws will be installed in your jawbone. This is a two step process: first, your new root implant will be installed, then your new crown will be added some weeks later. This new artificial tooth will have the appearance and function of a normal, natural tooth. 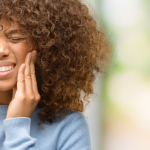 Answering the question of how to fix a chipped tooth means assessing the damage that has been sustained and the degree to which your tooth is cracked. To determine the best course of treatment, you will need to be examined by a professional. To schedule an examination or speak with a dental professional, contact Penn Dental Medicine today.